Janeil Harricharan is a young aspiring professional, working to share several stories through written work and game development. A 9-5 office worker doing book layouts, he creates and pursues his desire to share his tales when not at his job. 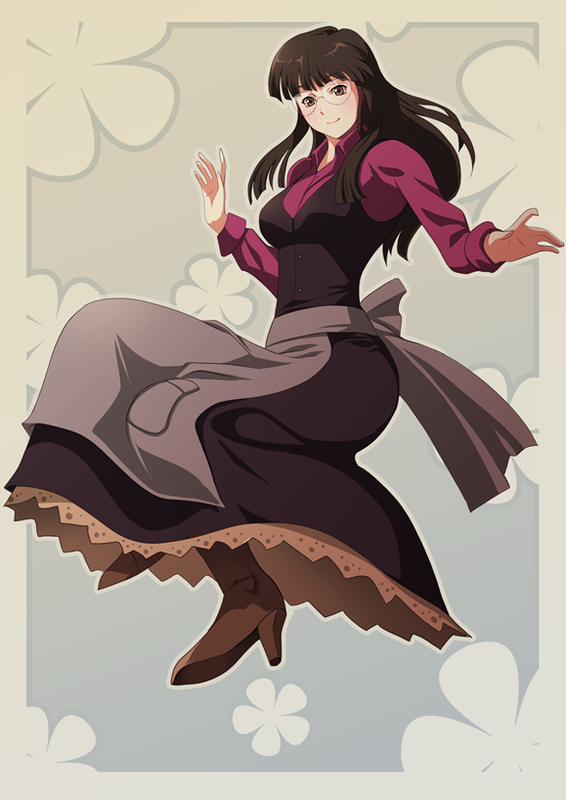 He is currently directing development of two visual novels and four publishing projects. Most notable of these is his sci-fi visual novel The Dawnstar Chronicles, and his young adult fantasy novel Michiko Bates. “I’m an entrepreneur mainly focusing on small business enterprises. However my ‘passion’ is focused on digital publishing projects, such as eBooks and game development,” he told me when I asked him to describe himself. – How did you decide to pursue a writing career? – Was getting published hard? – Are your characters based on people you know? “Typically they’re not. Sometimes I see people and get inspired for a character, but they are usually quite different in their composition, likes and characteristics. – What genre are your books? -Which of your books is your most favorite? “I would say my current project of Michiko Bates, and a new project I recently started up by the rough name of ‘Endless Sky’. Both projects mean a lot to me and I’m excited the most about, primarily as I’ve had the concept for them for years, finally getting a chance to bring them to light and share! – Do you have a specific writing routine? “My typical routine follows two patterns; writing at Starbucks on a weekend or putting in some words at midnight when I’m about to hit the sack. I typically try to pursue the former as it gives me greater freedom and less distraction from being in the family home. However, this is easier said than done due to where I live. Writing is something I have to endeavor towards, intentionally pushing life needs aside and sitting down to write what’s in my head. – What are your current projects? “I’m currently working on four projects at varying paces. I have more planned, but I need to finish a few otherwise they’d all remain in limbo! Michiko Bates is my main novel project. I collaborate with another writer by the name of Tanya Rodgers. Between the two of us, we drum up ideas and put pieces together for a final piece. I’m really excited about this because after two long years of work, we’re finally close to publishing! We’ve just finished editing and are wrapping up some illustrations. Once they get done it’ll be ready to hit the market. The story follows a somewhat nerdy Japanese-American teenager, who finds a mysterious pendant and the newfound ability to magically travel to several different worlds. After making herself an Alice-esque getup, the plunges in and inadvertently gets wrapped up in a perilous events in one of these worlds. Dawnstar is my biggest production to date. Despite it being a game project, it follows in the steps as a visual novel, which is essentially an interactive storybook. A lot of work has been done to bring it this far, and I certainly enjoy the writing challenge. I also am currently working on novel adaptations, which is in a project of itself. This project includes contributions from a few people, most notably musician Kenny Chow (a.ka Kenny Chou, CC Catch). This is a special treat in itself, as he’s the musician for some famous old DOS games back in the 90’s by Epic Games, including Zone 66 & One Must Fall: 2097. 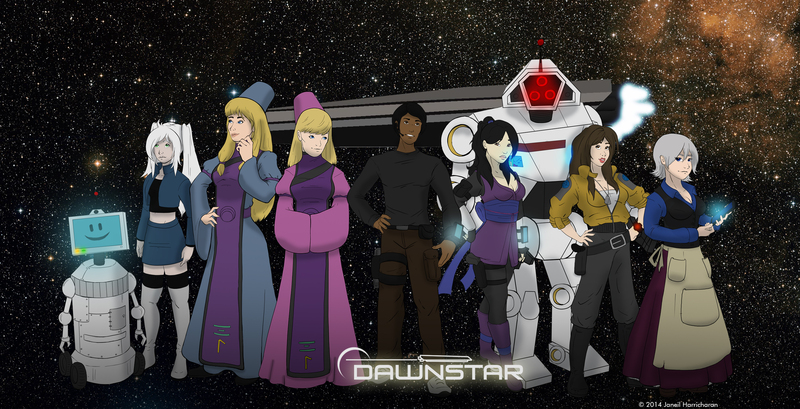 This storyline follows the path of Raju, a privateer captain of the starship frigate Dawnstar. 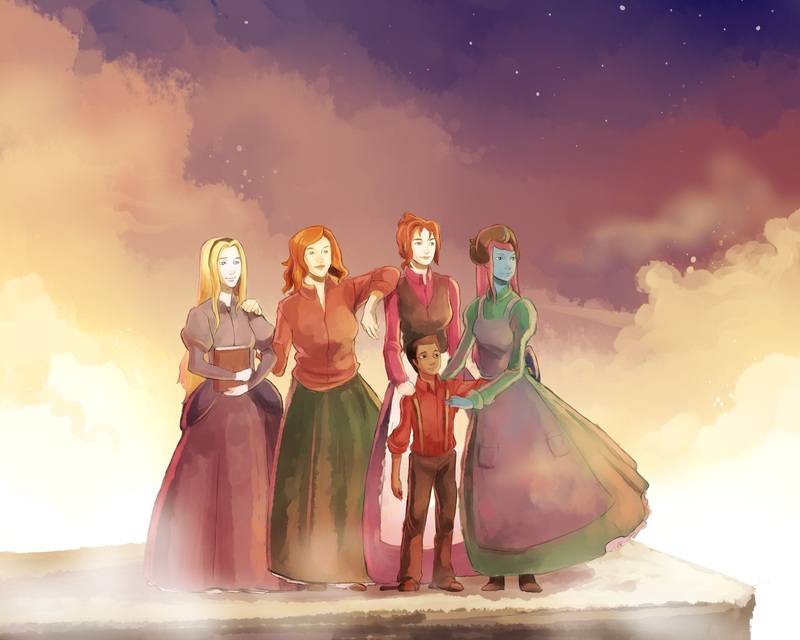 His companions and crew are an interesting assortment of women. Together they traverse the galaxy in search of adventure and one of his companion’s father, who’s been searching for ancient alien tech to his own ends. Haunting of Rotherwood is a small novella that I did just before NaNo of 2014. Birthed out of my recent fascination of urban hauntings, the story follows three college students getting lost on a ghost walk, ending up at a prominent haunted house. The story is based on some lore and local East Tennessee legend, drawing from these elements to create an environment for the characters to explore. This is my most complete story to date, currently going through minor revisions and editing. I’m hoping for a release in time for Halloween. Endless Sky is my most recent project and my biggest group project to date. Collaborating with the talents of four illustrators and artists, Endless Sky is a reworked fantasy story I had written in my younger days. Following the characters of a young foreign boy and his foster mother, the two dare to set out across the foreboding expanse of clouds in search of answers of the boy’s origin. However one wrong move means an endless plummet to the hell below. “I’m currently attempting to start a small business that would provide me income and freedom, which goes in hand to settle near a populated city (after all, it’s hard to get to a Starbucks when the nearest one is 50 miles away!). With those two things in place, I’d like to continue my writing and creative pursuits to publish more content and share more stories! 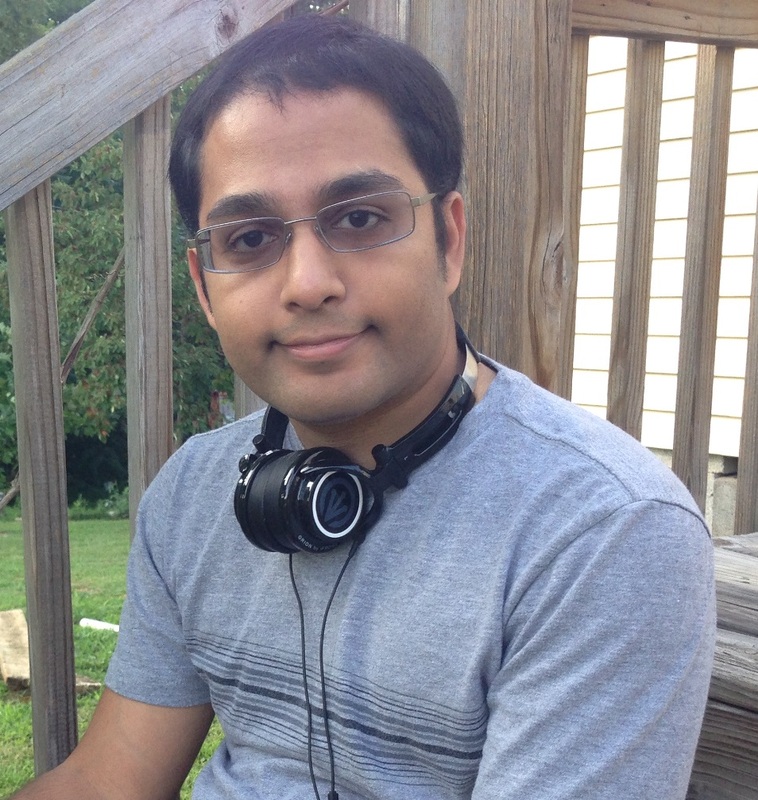 Janeil Harricharan graduated with his Bachelor’s in Digital Media from ETSU in 2013. Janeil currently resides in his rural hometown of Parrottsville, TN, helping his parents with their business as a second job. He lives a transient lifestyle and travels frequently, on the hunt for a city to call home and a special someone to share in his adventures.